I didn't think twice when my father invited me to accompany him to a wedding last January 15, 2011. Number one because I haven't been to Cabanatuan City since, I think, 2002. Little did i realize that this trip has wrapped up a few small (though unforgettable) surprises for me. 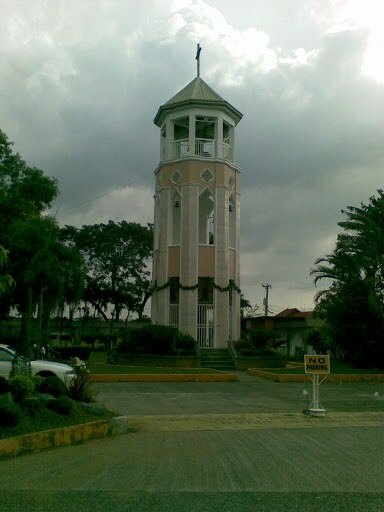 The wedding venue was Dambana ng Ina ng Laging Saklolo (roughly translated as the Shrine of Our Lady of Perpetual Help) which is one of the most popular locations for wedding ceremonies in Nueva Ecija. It was my first time to go there and honestly, I didn't quite find the place impressive. What I did notice is the peaceful and the quiet ambiance of the area so that I instantly felt like I was being lulled to sleep. The interior of the church reminded me of the Church of the Holy Sacrifice in UP Diliman wherein the overall architecture of the building takes advantage of the natural elements as its source of lighting and ventilation. 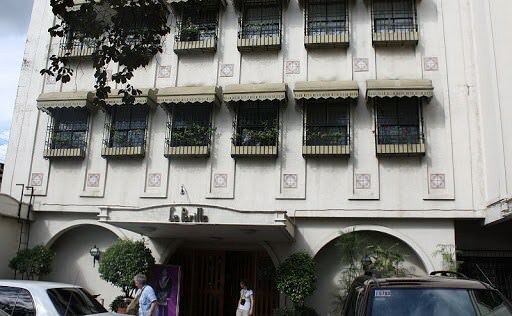 After the ceremonies, we proceeded to La Parilla Hotel. 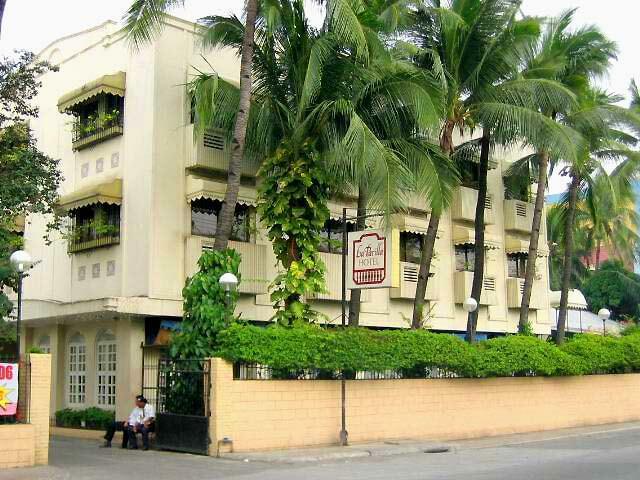 I've heard so much about this old hotel which is among the famous landmarks of Cabanatuan. 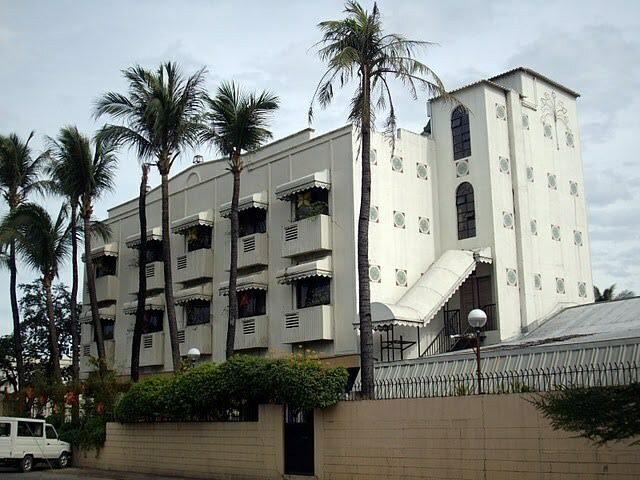 It actually has a romantic significance to my parents as this is where my father proposed to my mother during Nanay's graduation ball in 1980. I was expecting the hotel to be a bit large because it's more popular as a venue for parties and weddings so I was quite surprised because it's not as spacious. La Parilla, however, had that "old-world" feel to it because the original structure and design were preserved. The function rooms are small, as I had imagined, but I still found them charming and homey. The walls and the posts looked antique and really attractive. That combined with the low ceiling provided a feeling of warmth and closeness -- characteristics that we are all looking forward to during family gatherings. As for the food, well, I guess since the Hotel wasn't really presenting it as "fancy" hotel food -- just warm, tasty, delicious and filling party and fiesta food -- La Parilla didn't disappoint as to the taste of the selections it served. On a final note, the only thing I suggest that the Hotel should improve on is their rest room. They should add more urinals and further improve on cleanliness. But overall, it was one memorable experience and I didn't regret it a bit for accepting Tatay's invitation. After the affair, we proceeded to a place called Sangitan where there's plenty of vegetables sold. My father informed me that this place is actually a vegetable depot. Vegetable traders from Baguio, La Union, Nueva Viscaya and other parts of Nueva Ecija bring their produce to Sangitan. Stall owners from Manila and as far as Cavite all go here to buy vegetables in bulk. From Sangitan, we decided to call it a day and just head home to San Antonio. As our vehicle was traversing the highway, I couldn't help but observe the different business establishments along the road. And suddenly, it just dawned upon me that Cabanatuan City is also a progressive zone. Establishments like Shakey's, Gloria Jean's, and Robinson's, to name a few can also be found here. Big businesses like banks and financing companies hold their head offices here so growth is indeed continuous. Somehow, I felt that the people who have decided to pursue their careers in Cabanatuan are likewise blessed and lucky since they're just home. They didn't need to be in Metro Manila just to feel successful. Anyway, though tired from more that three hours of traveling to and from Cabanatuan, I still felt happy and contented for having "explored" a captivating place that's just at home but rarely visited. And right now, I can't help but feel excited at the thought of visiting Cabanatuan City once again. Thanks in large part to the new sights I have seen.